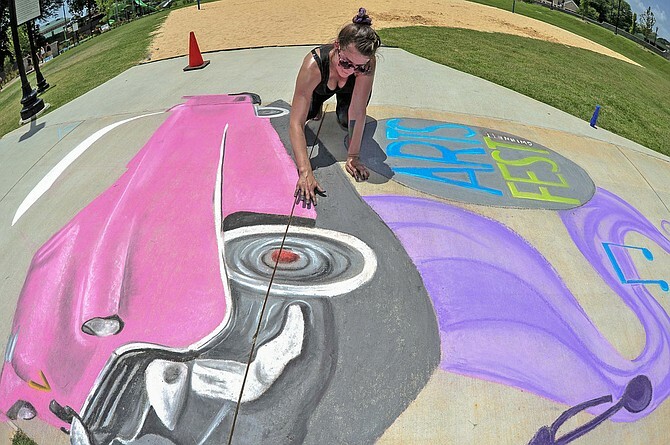 Arts Fest Gwinnett was an amazing community event in Lawrenceville, Georgia! 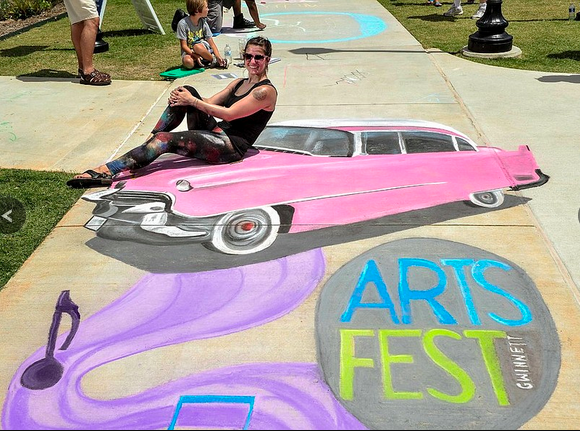 The festival had live music, artist vendors, and a chalk walk competition. 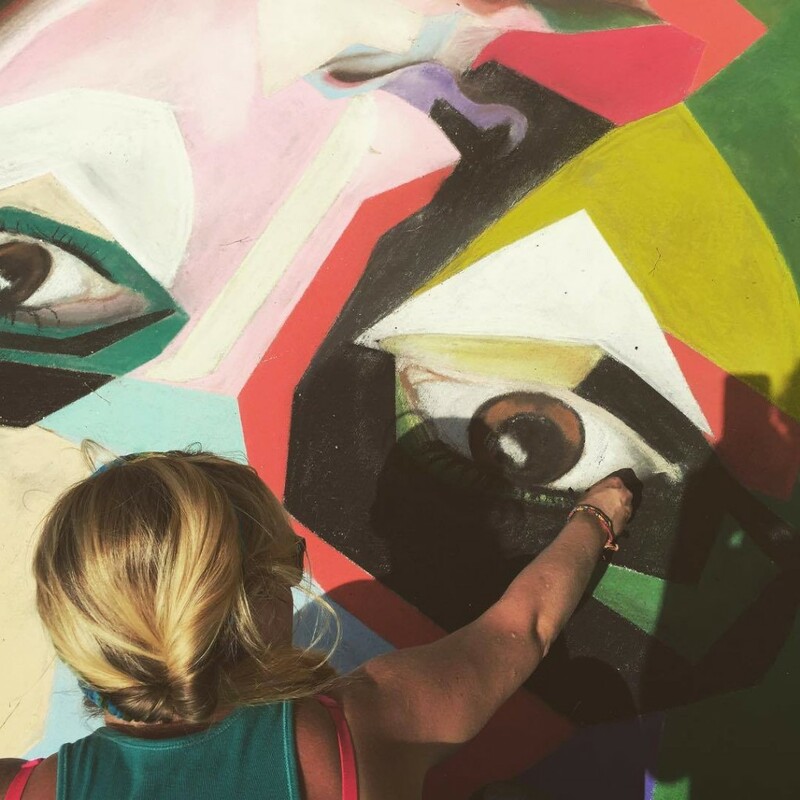 Georgia Chalk Artists Guild members Zach and Jessi took home the first place prize for the competition for their beautiful rendition of a colorful face. 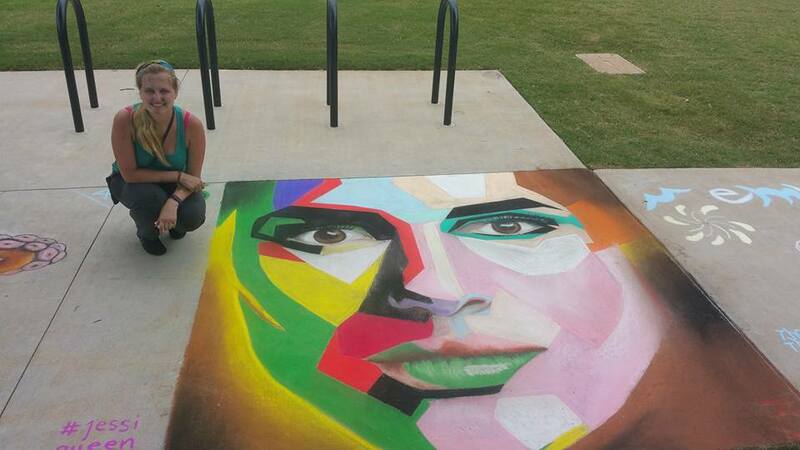 Katie was hired by the event to do a 3d chalk artwork to promote the local theatre’s upcoming rendition of Memphis. We can’t wait for 2016!